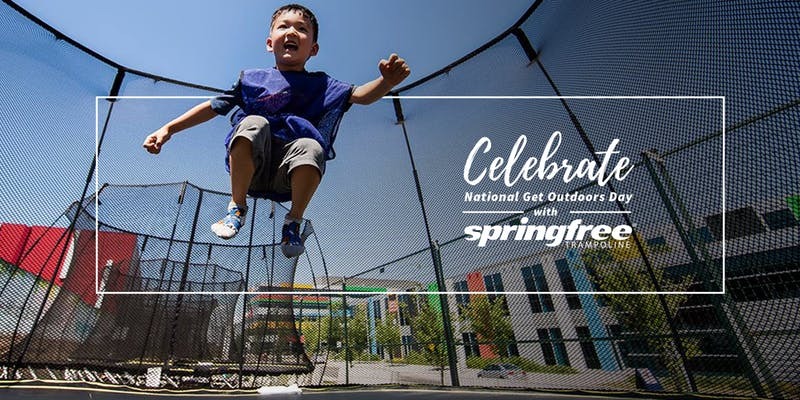 Home Events	Springfree Trampoline Presents National Get Outdoors Day! Bring the whole fam and celebrate National Get Outdoors Day with our Smarty friends at Springfree Trampoline in Blakeney Shopping Center next Saturday, June 9th! There will be lots of fun goodies, and of course, jumping on trampolines. Join the Charlotte Springfree crew at the best outdoor party in the QC! FREE jumping, live music, arts & crafts, face painting, balloon art, My Gym and a rock climbing wall! Plus they will have a planting station with Burpee Seeds, free samples from Go Go Squeeze, and coupons and giveaways from Brixx, Springfree, Zoe’s and more!